We love fresh food, but sometimes, we have to deal with leftover fruits and veggies. How to keep them as fresh as possible is always a task. It is not only about saving food and money, but also eating health. 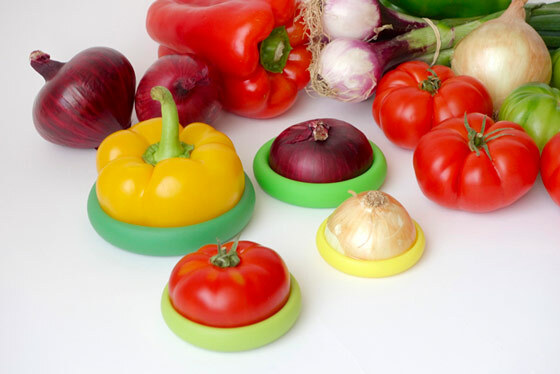 By recreating the protective seal of the food’s natural skin, food hugger is able to extend the freshness of fruits and vegetables that have been cut. 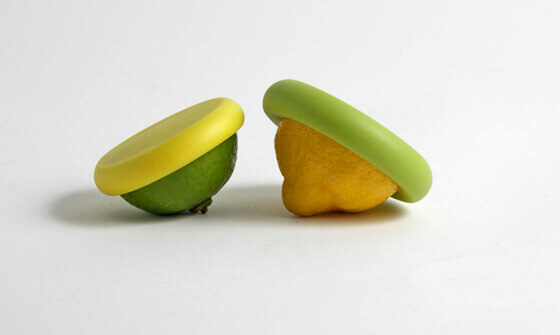 Coming in 4 different sizes so that you can save lots of different sizes of fruits and vegetables. Moreover, each size has some overlap with the next size. Hence not matter what is your leftover – half lemon, apple, onion, tomato or eggplant, each one can find its proper sized hugger and stay fresh longer. 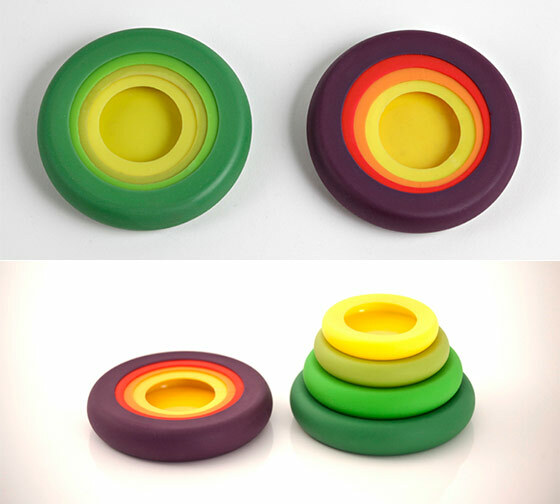 Made of silicone, food huggers can slip on and off easily from food and nest together and fit neatly in the drawer. 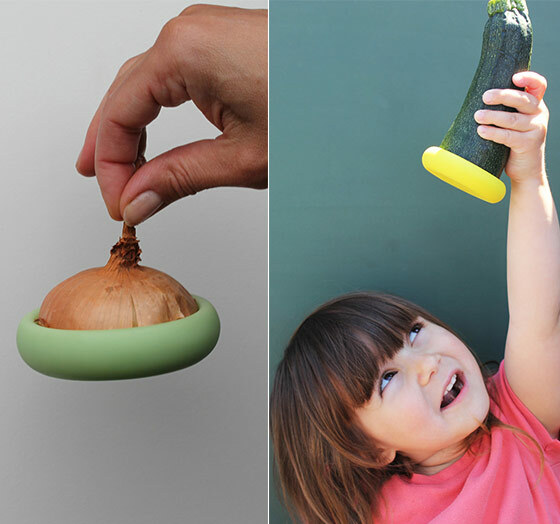 Another bonus is it helps keep smells from spreading which is quite good for vegetables like onion.